Whether broadcast on cable news, shared on Facebook or printed in the Conservationist, the word is spreading. Spending time outside — even five minutes — is good for you. Fortunately, with nearly 26,000 acres and 145 miles of trails, you can get a healthier body, sharper mind and happier you without ever leaving the county. We don’t need studies to tell us that taking a short stroll is better than spending an extra 15 minutes on the couch, but how many of us know we can bump up those benefits by going somewhere green? Doctors and PhDs looking at blood chemistry, brain activity and other physiological attributes have recorded how blood pressure, heart rate and levels of stress hormones all decrease more after a walk in the woods than one down a city street. Yes, the breeze through the trees and singing birds are better on the nerves than a rusted-out muffler. Prefer to measure the benefits in pounds? 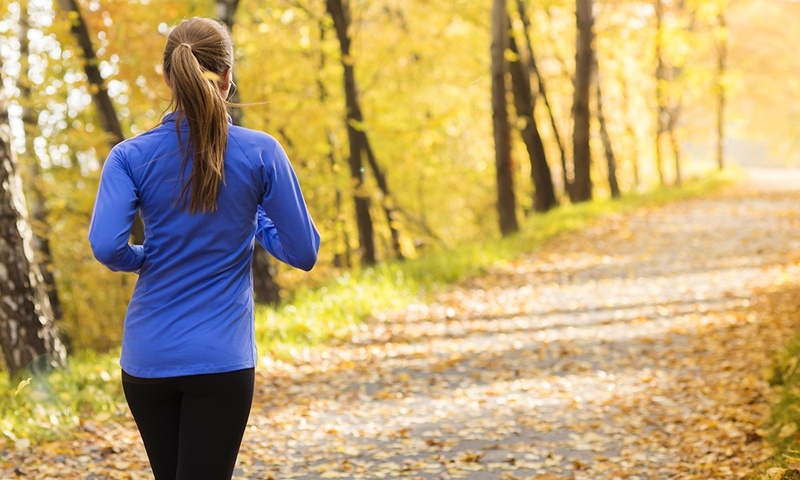 You’ll burn 10 percent more calories if you run on a trail instead of a treadmill. Spending one hour outdoors can improve memory by 20 percent, which may help you remember to pick up that gallon of milk on the way home. Spend the hour outside walking and you’ll do even more for your noggin. 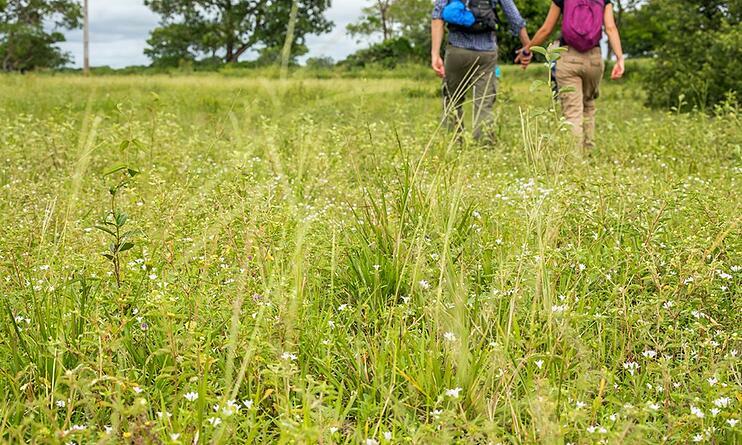 Sitting in a natural area for just five minutes can make you feel more energetic and less stressed or depressed. It’s a simple prescription that’s addictive in a good way. The better you feel, the more your brain will want you to get back out there again and again. Nature’s efficacy increases if you’re near a lakeshore, wetland or babbling brook. Collaborative efforts by neuroscientists, psychologists and aquatic experts are showing that waterscapes have inherent positive effects on disposition. The theory is that water’s placid surface and soothing sounds give the senses something simple to focus on, which lets the brain take a timeout. It may be a side effect of our longstanding relationship with water. After all, it covers three-quarters of the globe and is a compound we cannot live without. Fortunately, DuPage County’s forest preserves are full of the stuff. With 30 lakes, over 45 miles of rivers and streams, and scores of healthy marshes, it’s easy to get your fix. 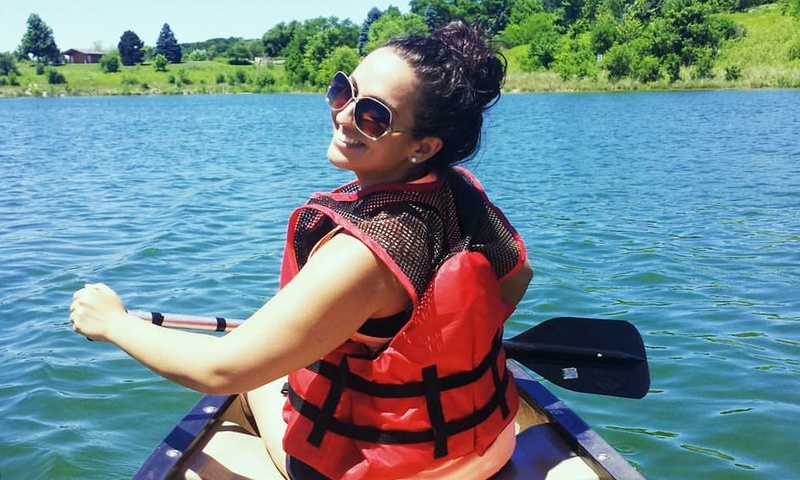 You can even experience the benefits of water by floating on top of it in a rented kayak, canoe or rowboat on Herrick Lake at Herrick Lake Forest Preserve in Wheaton or Silver Lake at Blackwell Forest Preserve in Warrenville. Of course being happy boosts your immune system, too, which brings us back to where we started. So take our word for it, and take five!